Over the last few months I have been part of an illustration group organised by the National Galleries of Scotland. We’ve been working on a brief to create educational materials and stories for the launch of the updated Scottish Art Collection. 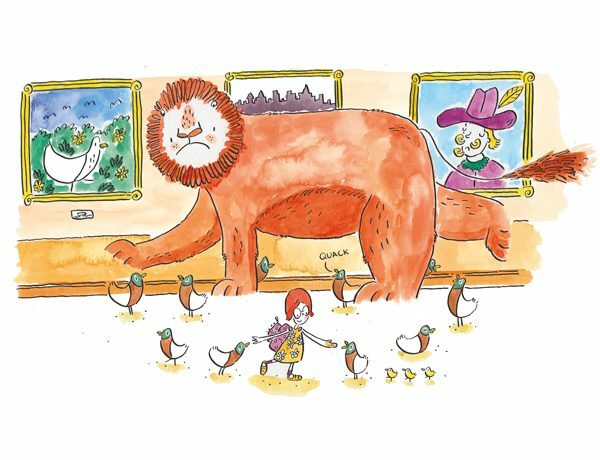 So far my ideas have taken me towards William Bell Scott’s beautiful artwork of Una and the lion. Here is some examples of the my work so far. 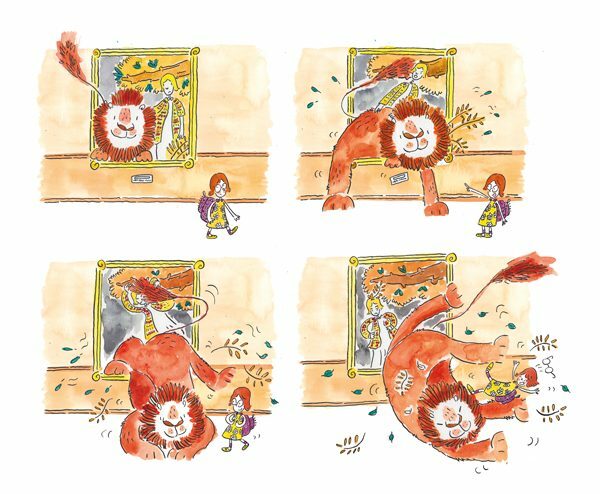 My tale follows a little girl called Zadie who accidentally befriends Una’s Lion when he comes alive and jumps out of the painting, setting off a whirlwind adventure around the gallery!